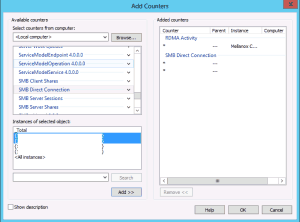 Another important part of SMB 3.0 and Hyper-V over SMB is the performance. In the past you could use iSCSI, Fiber Channel or FCoE (Fiber Channel over Ethernet). 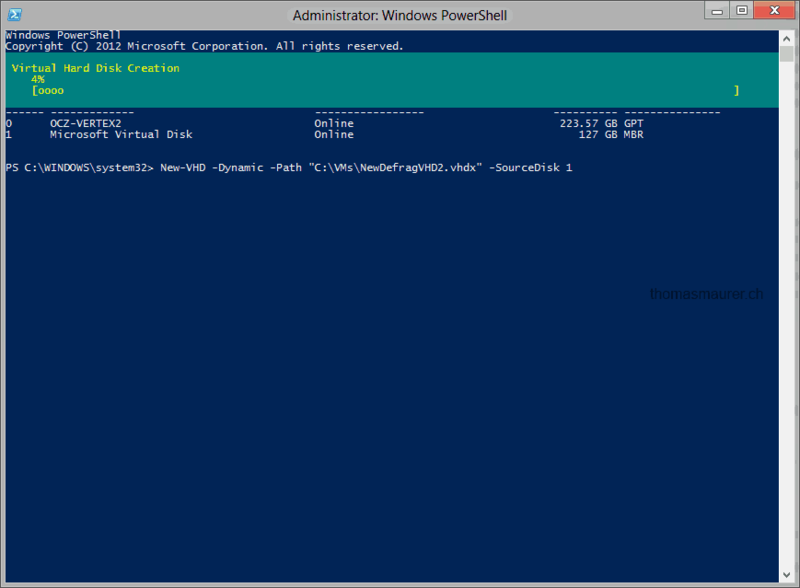 Now SMB 3.0 has a lot of performance improvements to make the Hyper-V over SMB scenario even work. 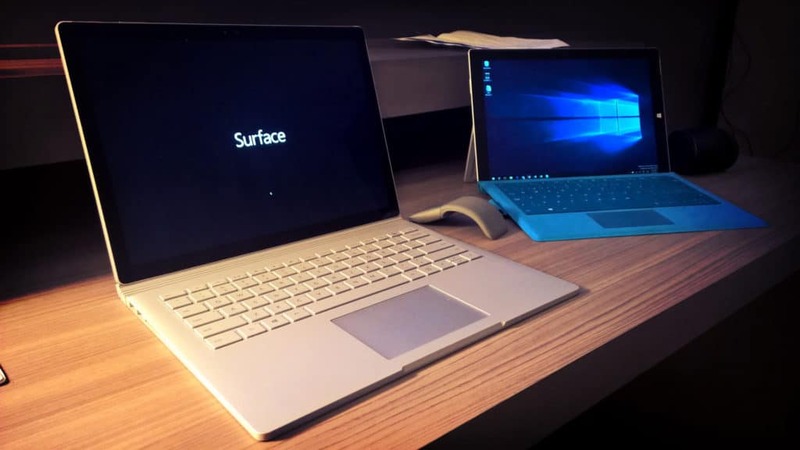 But if you need even more performance you can use new feature which came with Windows Server 2012 and is of course also present in Windows Server 2012 R2 called SMB Direct, which supports the use of network adapters that have Remote Direct Memory Access (RDMA) capability. 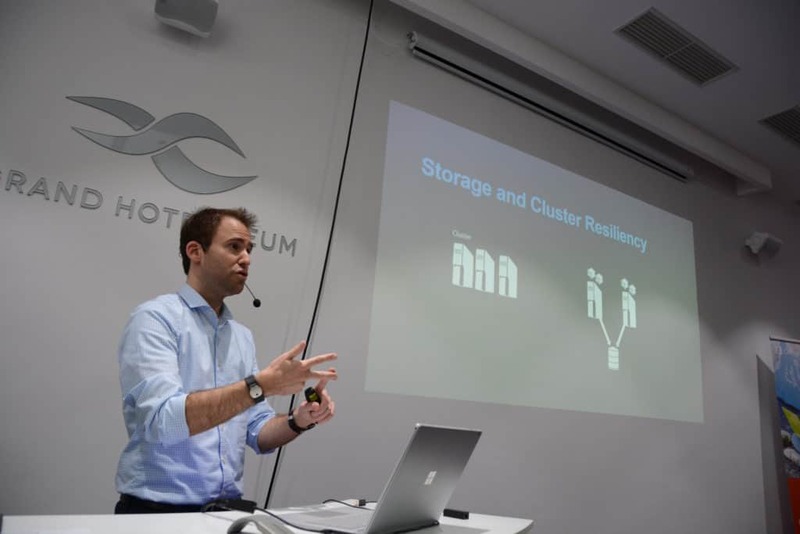 Network adapters with RDMA offer some great enhancements such as very low latency, increased throughput and low CPU utilization since the functionality is offloaded to the network card. At the moment there are different versions of network adapters with RDMA capabilities, currently these are iWARP, InfiniBand or RoCE. 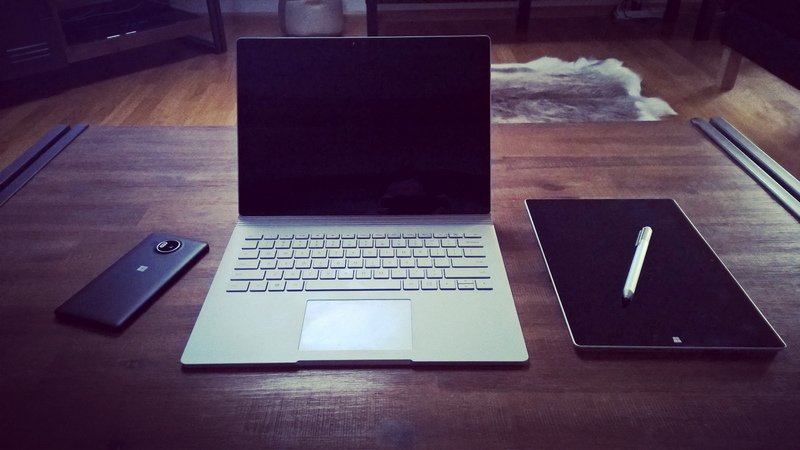 On the software side you need Windows Server 2012 or Windows Server 2012 R2 with SMB 3.0. 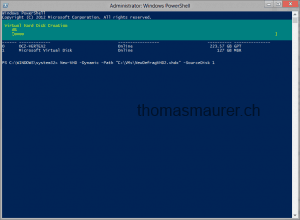 SMB Direct is not supported in previous versions of SMB and Windows Server. 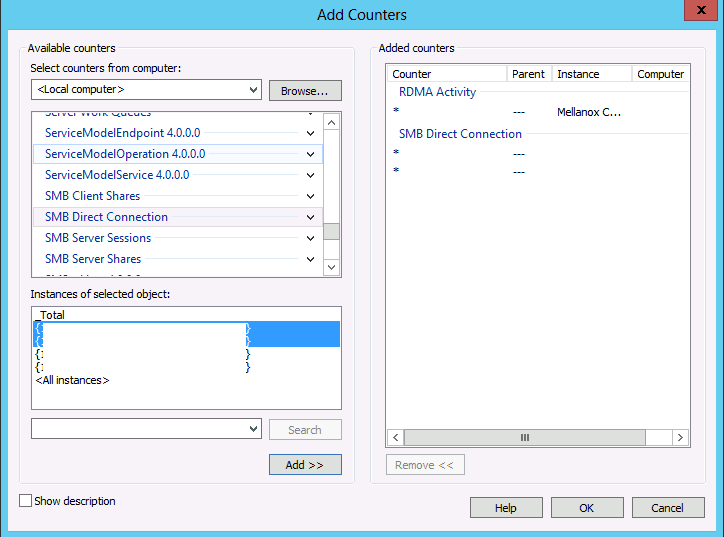 Well SMB Direct or RDMA if oyu will is enabled by default, so Windows Server will make use of it when ever possible. But there are some things you have to make sure. Which type of RDMA am I using, is it iWARP, InfiniBand or RoCE. Some of them maybe require additional configuration on the network. 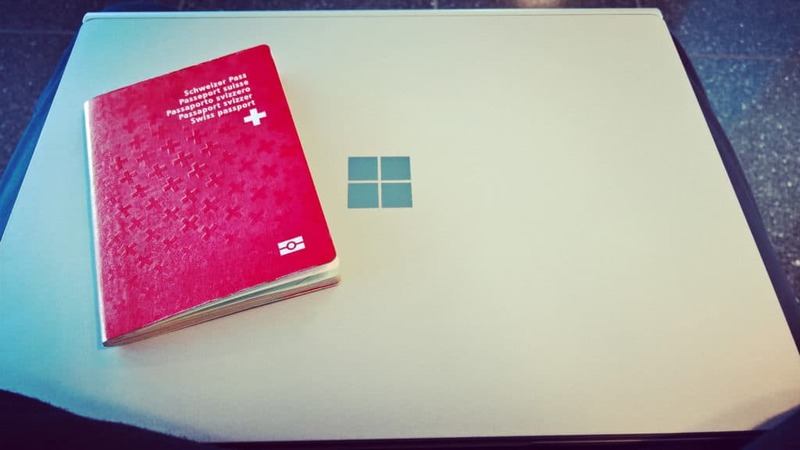 If you are using RoCE RDMA seems to work without configuration but you can run into performance issues as my fellow Microsoft MVP Didier van Hoye descripes in his blog post. Enable SMB Multichannel if you disabled it. SMB Direct will be also disabled when you disable Multichannel. In a Failover Cluster make sure that the RDMA NICs are also marked as client access adapters. On the file server you should also tune performance by disabling hyper threading, Disabling processor C States and setting the power profile to full power. Verify if RDMA is enabled, first cmdlet checks if it’s enabled on the server it self, second one checks if it’s enabled on the network adapters and the third checks if the hardware is RDMA capable. Verify that SMB Multichannel is enabled, which confirms the NICs are being properly recognized by SMB and that their RDMA capability is being properly identified. And of course you have some great performance counters. If you run some copy jobs you can see the amazing performance (if your storage is fast enough). 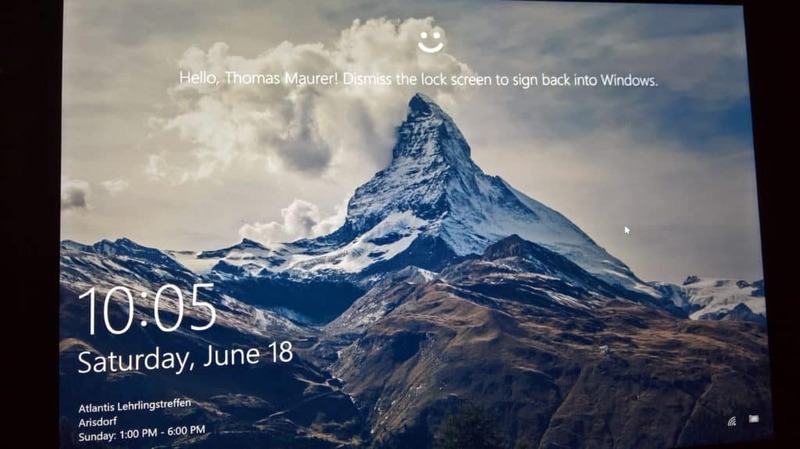 Here you can also see a print screen with Mellanox ConnectX-3 Ethnernet adapters which are using RoCE in Windows Server 2012. You can see that you don’t see any TCP traffic in the Task Manager on the RDMA NICs. 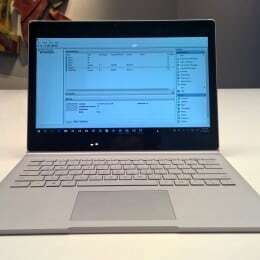 Get more information about SMB Direct on Jose Barretos blog SMB3.info or on Microsoft TechNet. 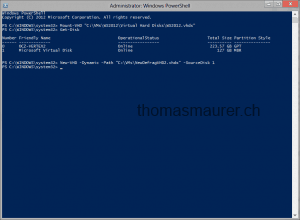 In the new released Performance Tuning Guidelines for Windows Server 2012 you can find a lot of tuning information for Windows Server 2012 Hyper-V. One important part is the Virtual Disk chapter which is all about the VHD and the new VHDX format. Support for virtual hard disk storage capacity of up to 64 terabytes. Protection against data corruption during power failures by logging updates to the VHDX metadata structures. Ability to store custom metadata about a file, which a user might want to record, such as operating system version or patches applied. 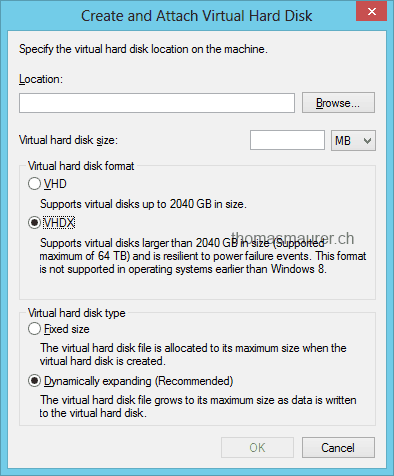 Improved alignment of the virtual hard disk format to work well on large sector disks. Larger block sizes for dynamic and differential disks, which allows these disks to attune to the needs of the workload. 4 KB logical sector virtual disk that allows for increased performance when used by applications and workloads that are designed for 4 KB sectors. 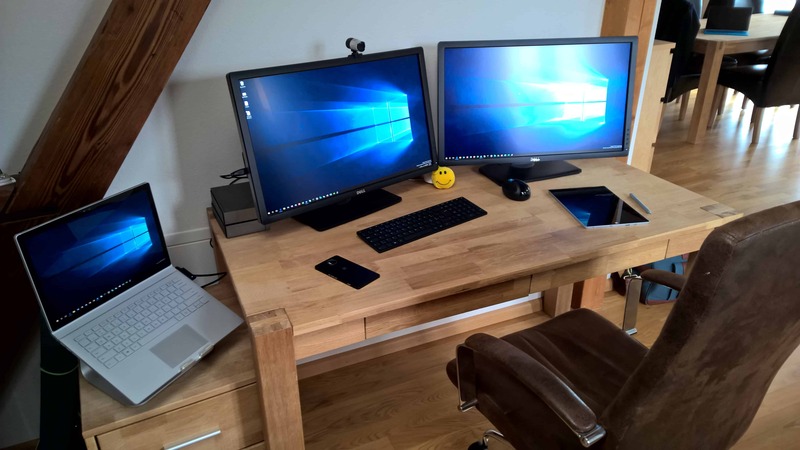 When you upgrade to Windows Server 2012, we recommend that you convert all VHD files to the VHDX format due to these benefits. 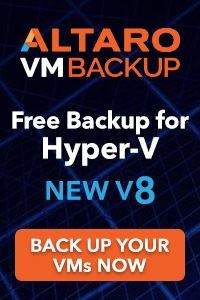 The only scenario where it would make sense to keep the files in the VHD format is when a virtual machine has the potential to be moved to a previous release of the Windows Server operating system that supports Hyper-V. When using the VHD format, we recommend that you use the fixed type because it has better resiliency and performance characteristics compared to the other VHD file types. 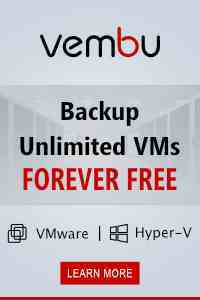 When using the VHDX format, we recommend that you use the dynamic type because it offers resiliency guarantees in addition to space savings that are associated with allocating space only when there is a need to do so. 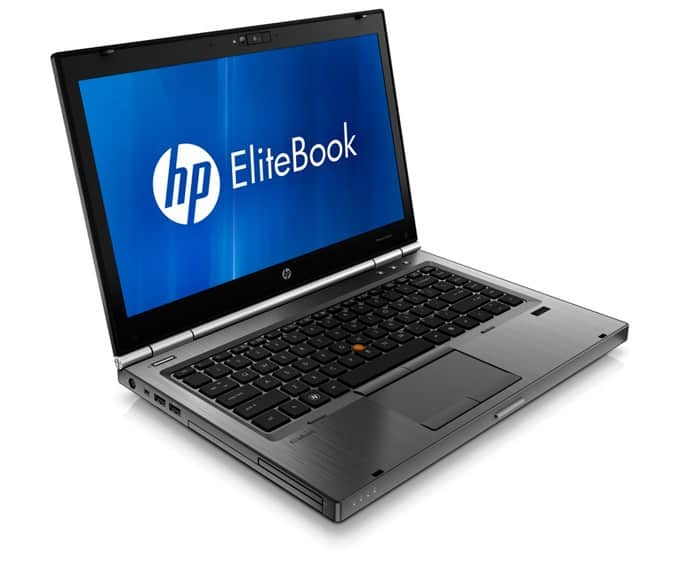 The fixed type is also recommended, irrespective of the format, when the storage on the hosting volume is not actively monitored to ensure that sufficient disk space is present when expanding the VHD file at run time. 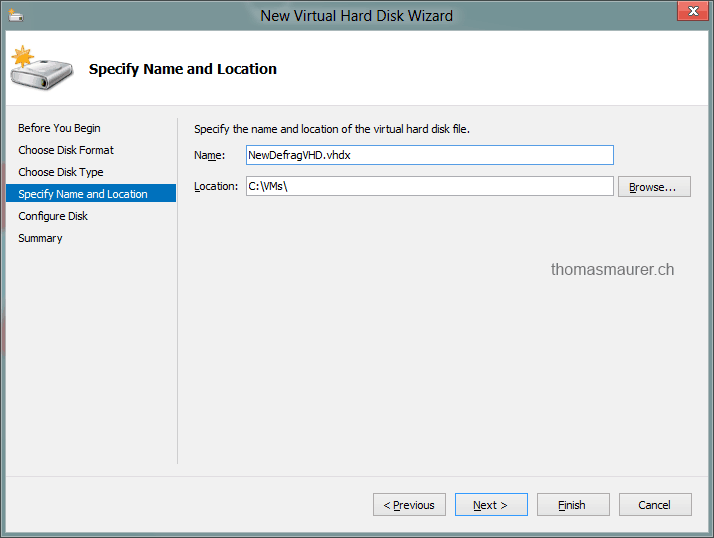 Snapshots of a virtual machine create a differencing VHD to store Writes to the disks. Having only a few snapshots can elevate the CPU usage of storage I/Os, but might not noticeably affect performance except in highly I/O-intensive server workloads. 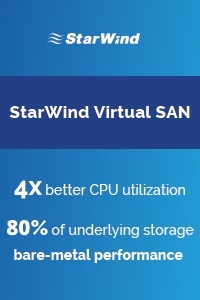 However, having a large chain of snapshots can noticeably affect performance because reading from the VHD can require checking for the requested blocks in many differencing VHDs. Keeping snapshot chains short is important for maintaining good disk I/O performance. 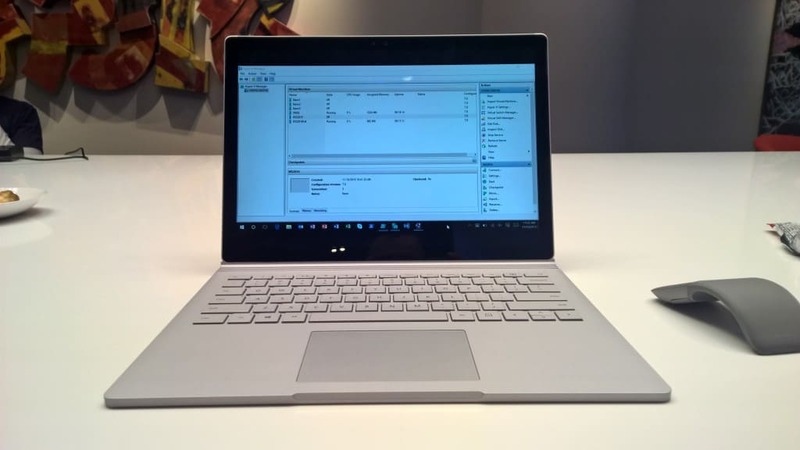 For more information checkout the Performance Tuning Guidelines for Windows Server 2012. My Virtual Machine MVP colleague Carsten Rachfahl just told me that now also IDE devices can use the TRIM function for VHDX files. That means that VHDX on SCSI or IDE controller as well as pass-through disks support TRIM. The only thing which is required is trim-compatible hardware. 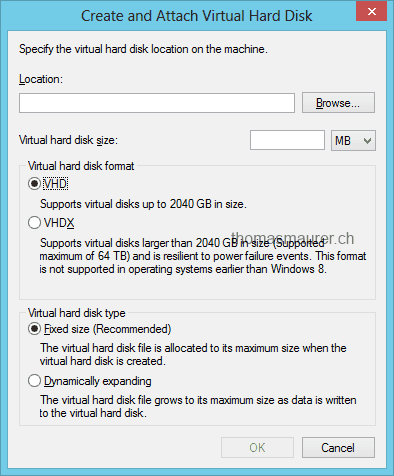 Even the GUI in Windows Server 2012 and Windows 8 recommend Fixed size for VHDs and Dynamic expanding for VHDX. I have now server customer environment running in products for a couple of months and all are using the new Dynamic Expanding VHDX format. No problems and performance issues at all. 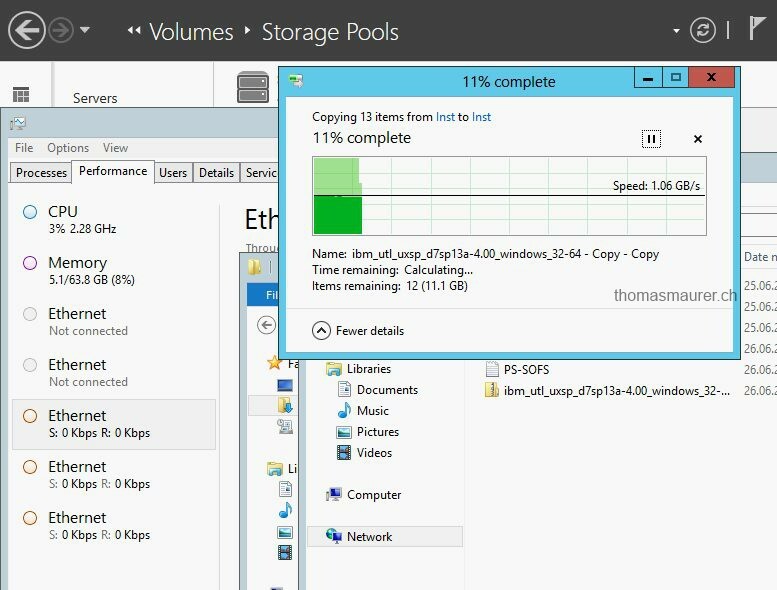 Dynamic Expanding VHDX disks are even running faster than Fixed Size VHD files. 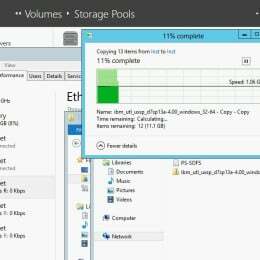 Microsoft MVP Aidan Finn posted a interesting blog post about Virtual Hard Disk (VHD) Block Fragmentation. 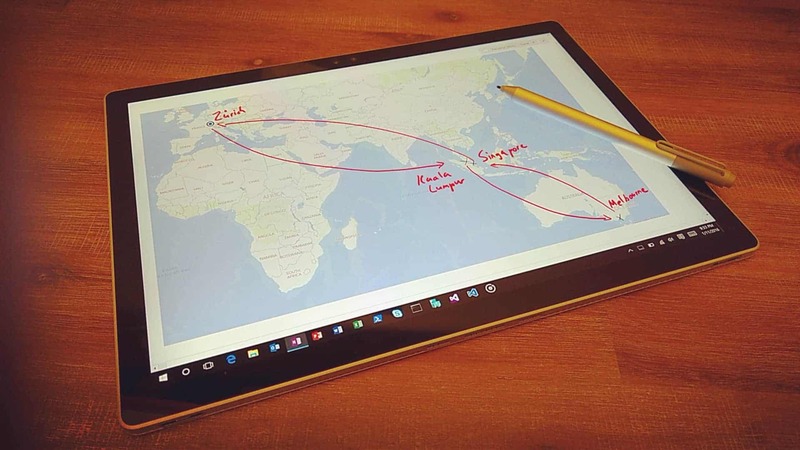 He was reviewing the document about Performance Tuning Guidelines for Windows Server 2012 and found a very important note about VHD performance. Just as the allocations on a physical disk can be fragmented, the allocation of the blocks on a virtual disk can be fragmented when two virtually adjacent blocks are not allocated together on a virtual disk file. The fragmentation percentage is reported for disks. If a performance issue noticed on a virtual disk, you should check the fragmentation percentage. When applicable, defragment the virtual disk by creating a new virtual disk with the data from the fragmented disk by using the Create from Source option. Now first thanks to Aidan Finn for finding this one. 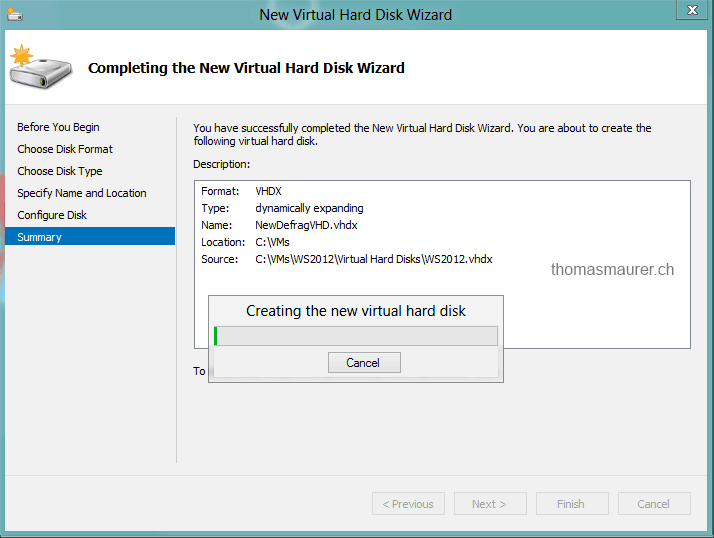 But how do I create a new VHD or VHDX from a source? Simple there are two ways of doing that, the first one is over the Hyper-V Manager GUI. Create a new VHD and give it a new name. 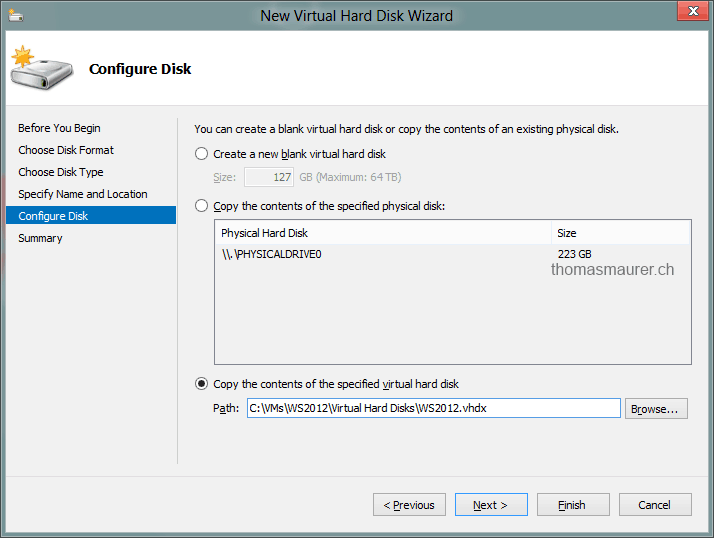 On the Configure Disk window check the Copy the contents of the specified virtual hard disk, and select the path to the source VHD. 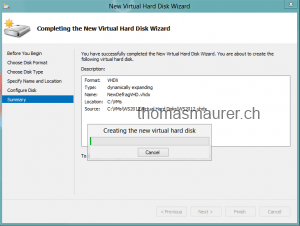 Click next and finish and this will create the new VHD with the content from the source VHD. 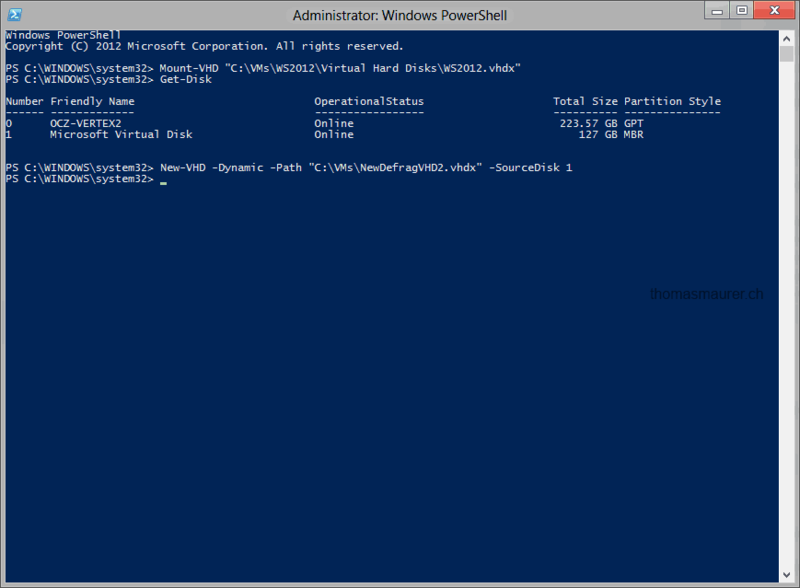 The second and my preferred way of doing it, is of course with Windows PowerShell. I run several Windows Virtual Machines (VMs) on my Mac with VMware Fusion. Even VMware Fusion has a great performance for Virtual Machines I am really happy about every performance increase I can get. I made a list with some tuning tips. 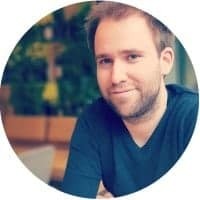 There are a lot of more tips out there but I thinks these are pretty important.